Sir Constantijn Huygens, Lord of Zuilichem (4 September 1596 –28 March 1687), was a Dutch Golden Age poet and composer. He was secretary to two Princes of Orange: Frederick Henry and William II, and the father of the scientist Christiaan Huygens. The Dutch Golden Age was a period in the history of the Netherlands, roughly spanning the 17th century, in which Dutch trade, science, military, and art were among the most acclaimed in the world. The first section is characterized by the Eighty Years' War, which ended in 1648. 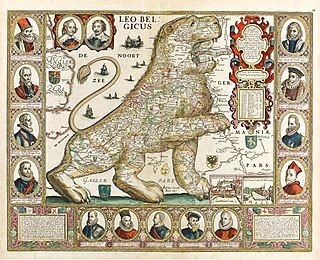 The Golden Age continued in peacetime during the Dutch Republic until the end of the century. Constantijn Huygens was born in The Hague, the second son of Christiaan Huygens (senior), secretary of the Council of State,  and Susanna Hoefnagel, niece of the Antwerp painter Joris Hoefnagel. Constantijn was a gifted child in his youth. His brother Maurits and he were educated partly by their father and partly by carefully instructed governors. When he was five years old, Constantijn and his brother received their first musical education. They started with singing lessons, and they learned their notes using gold-coloured buttons on their jackets. 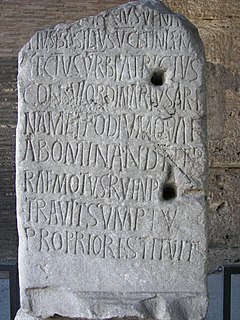 It is striking that Christiaan senior imparted the "modern" system of 7 note names to the boys, instead of the traditional, but much more complicated hexachord system. Two years later the first lessons on the viol started, followed by the lute and the harpsichord. Constantijn showed a particular acumen for the lute. At the age of eleven he was already asked to play for ensembles, and later — during his diplomatic travels — his lute playing was in demand; he was asked to play at the Danish Court and for James I of England, although they were not known for their musical abilities. In later years he also learnt the more modern guitar. In 1647 he published in Paris his Pathodia sacra et profana with his compositions of airs de cour in French, madrigals in Italian and Psalms in Latin. In music, a hexachord is a six-note series, as exhibited in a scale or tone row. The term was adopted in this sense during the Middle Ages and adapted in the 20th century in Milton Babbitt's serial theory. 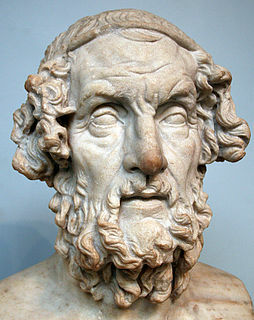 The word is taken from the Greek: ἑξάχορδος, compounded from ἕξ and χορδή, and was also the term used in music theory up to the 18th century for the interval of a sixth. They were also schooled in art through their parents art collection, but also their connection to the magnificent collection of paintings in the Antwerp house of diamond and jewellery dealer, Gaspar Duarte (1584–1653), who was a Portuguese Jewish exile. Constantijn also had a talent for languages. He learned French, Latin and Greek, and at a later age Italian, German and English. He learned by practice, the modern way of learning techniques. Constantijn received education in maths, law and logic and he learned how to handle a pike and a musket. In 1614 Constantijn wrote his first Dutch poem, inspired by the French poet Guillaume de Salluste Du Bartas, in which he praises rural life. In his early 20s, he fell in love with Dorothea, however their relationship did not last and Dorothea met someone else. Guillaume de Saluste Du Bartas was a Gascon Huguenot courtier and poet. Trained as a doctor of law, he served in the court of Henri de Navarre for most of his career. Du Bartas was celebrated across sixteenth- and seventeenth-century Europe for his divine poetry, particularly L'Uranie (1584), Judit (1584), La Sepmaine; ou, Creation du monde (1578), and La Seconde Semaine (1584-1603). In 1616, Maurits and Constantijn started studies at Leiden University. Studying in Leiden was primarily seen as a way to build a social network. Shortly after, Maurits was called home to assist his father. Constantijn finished his studies in 1617 and returned home. This was followed by six weeks of training with Antonis de Hubert, a lawyer in Zierikzee. De Hubert was committed to the study of language and writing, having held consultations with Pieter Corneliszoon Hooft, Laurens Reael and Joost van den Vondel concerning language and orthography in 1623. In the Spring of 1618 Constantijn found employment with Sir Dudley Carleton, the English envoy at the Court in The Hague. In the summer, he stayed in London in the house of the Dutch ambassador, Noël de Caron. During his time in London his social circle widened and he also learned to speak English. In 1620, towards the end of the Twelve Years' Truce, he travelled as a secretary of ambassador François van Aerssen to Venice, to gain support against the threat of renewed war. He was the only member of the legation who could speak Italian. In January 1621 he traveled to England as the secretary of six envoys of the United Provinces with the object of persuading James I to support the German Protestant Union, returning in April of that year. In December 1621 he left with another delegation, this time with the aim of requesting support for the United Provinces, returning after a year and two months in February 1623. There was yet another trip to England in 1624. He is often considered a member of what is known as the Muiderkring, a group of leading intellectuals gathered around the poet Pieter Corneliszoon Hooft, who met regularly at the castle of Muiden near Amsterdam. In 1619 Constantijn came into contact with Anna Roemers Visscher and with Pieter Corneliszoon Hooft. Huygens exchanged many poems with Anna. In 1621 a poetic exchange with Hooft also starts. Both would always try to exceed the other. In October of that year Huygens sent Jacob Cats a large poem in Dutch, entitled 't Voorhout, about a woodland near the Hague. In December he started writing 't Kostelick Mal, a satirical treatment of the nonsense of the current vogue. In 1623 Huygens wrote his Printen, a description of several characteristics of people. This satirical, moralising work was one of the most difficult of Huygens' poems. In the same year Maria Tesselschade and Allard Crombalch were married. For this occasion verses were written by Huygens, Hooft and Vondel. During the festival, Constantijn flirted with Machteld of Camps. As a result of this he wrote the poem Vier en Vlam. In 1625 the work Otia, or Ledige Uren, was published. This work showcased his collected poems. In 1622, when Constantijn stayed as a diplomat for more than one year in England, he was knighted by King James I. This marked the end of Constantijn's formative years, and of his youth. Huygens was employed as a secretary to Frederick Henry, Prince of Orange, who — after the death of Maurits of Orange — was appointed as stadtholder. In 1626 Constantijn fell in love with Suzanna van Baerle. Earlier courtship by the Huygens family to win her for Maurits had failed. Constantijn wrote several sonnets for her, in which he calls her Sterre (Star). They wed on 6 April 1627. Huygens describes their marriage in Dagh-werck, a description of one day. He worked on this piece, which contains almost 2000 lines, during the entire time they were married. The couple had five children: in 1628 their first son, Constantijn Jr., in 1629 Christiaan, in 1631 Lodewijk and in 1633 Philips. In 1637 their daughter Suzanna was born; shortly after her birth their mother died. Huygens started a successful career despite his grief over the death of his wife (1638). In 1630 he was appointed to the Council and Exchequer, managing the estate of the Orange family. This job provided him with an income of about 1000 florins a year. In that same year he bought the heerlijkheid Zuilichem and became known as Lord of Zuilichem (in Dutch: Heer van Zuilichem). In 1632, Louis XIII of France - the protector of the famous exiled jurist Hugo Grotius - appointed him as Knight of the Order of Saint-Michel. In 1643 Huygens was granted the honor of displaying a golden lily on a blue field in his coat of arms. In 1634 Huygens received from Prince Frederick Henry a piece of property in The Hague on the north side of the Binnenhof. The land was near the property of a good friend of Huygens, Count Johan Maurits of Nassau-Siegen, who built his house, the Mauritshuis, around the same time and using the same architect, Huygens' friend Jacob van Campen. Aside from his membership in the Muiderkring (which was not as formerly supposed, an official club), at the start of the 1630s he was also in touch with René Descartes,  with Rembrandt,  and the painter Jan Lievens. He became friends with John Donne,  and translated his poems into Dutch. He was unable to write poetry for months because of his anguish over his wife's death, but eventually he composed, inspired by Petrarch, the sonnet Op de dood van Sterre (On the death of Sterre), which was well received. He added the poem to his Dagh-werck, which he left unfinished: the day he has described has not ended yet, but his Sterre is already dead. After sending the unfinished work to different friends for approval, he eventually published it in 1658 as part of his Koren-bloemen. After a couple of years as a widower, Huygens bought a piece of land in Voorburg and commissioned the building of Hofwijck. Hofwijck was inaugurated in 1642 in the company of friends and relatives. Here Huygens hoped to escape the stress at court in The Hague, forming his own "court", indicated by the name of the house which has a double meaning: Hof (=Court or courtyard) Wijck (=avoid or township). In that same year, his brother Maurits died. Due to his grief Huygens wrote little Dutch poetry, but he continued to write epigrams in Latin. Shortly afterwards, he began writing Dutch pun poems, which are very playful by nature. In 1644 and 1645 Huygens began more serious work. As a new year's present for Leonore Hellemans, he composed the Heilige Daghen, a series of sonnets on the Christian holidays. In 1644, a garlanded portrait of Huygens was painted by Daniel Seghers and Jan Cossiers: it is now in the Mauritshuis. In 1647 he published another work, in which play and seriousness are united, Ooghentroost, addressed to Lucretia of Trello, who was losing her sight and who was already half-blind. The poem was offered as consolation. From 1650 to 1652 Huygens wrote the poem Hofwijck in which he described the joys of living outside the city. It is thought that Huygens wrote his poetry as a testament to himself, a memento mori, because Huygens lost so many dear friends and family during this time: Hooft (1647), Barlaeus (1648), Maria Tesschelschade (1649) and Descartes (1650). In 1645, his sons Constantijn Jr. and Christiaan began their studies in Leiden. In these years Prince Frederick Henry of Orange, Huygens' confidante and protector, became increasingly ill, and died in 1647. The new stadtholder, William II of Orange, greatly appreciated Huygens and gave him the estate of Zeelhem, but he died too in 1650. The emphasis of Huygens' activities moved more and more to his presidency of the Council of the house of Orange, which was in the hands of the young Prince inheritor, a small baby. He traveled frequently during that time, in connection with his work. There were however strong disagreements between the baby's widowed mother in law Amalia van Solms, and widow daughter in law Mary, Princess Royal, (4 November 1631 – 24 December 1660, aged 29) on even the name for christening the Dutch-English Royal newborn. The Orange Order flag, also known as the Boyne Standard, consisting of an orange background with a St George's Cross and a purple star which was the symbol of Williamite forces. The late political career of Constantijn Huygens consisted in nurturing orphaned Dutch-English Prince William III, an orphan of both father and mother since aged 11, to become an acclaimed Protestant stadtholder in Holland and then a King in England. In 1657, his son Philips died after a short sickness during his Grand Tour while in Prussia. In that same year Huygens became seriously ill, but healed in a miraculous manner. In 1680 Constantijn Jr. moved with his family out of the house of his father. To stop the gossiping which started shortly afterwards, Huygens write the poem Cluijs-werck, in which he shows a glimpse of the latter stages of his life. He still tried to find time to publish more of his work. In 1647 a number of Huygens' musical creations, Pathodia sacra et profana, was published in Paris. It contained some compositions in Latin (Psalms), in French, and Italian amorous worldly texts. The work was dedicated to the pretty niece, Utricia Ogle, of an English diplomat. In 1648 Huygens wrote Twee ongepaerde handen for a harpsichord. This work was connected with Marietje Casembroot, a twenty-five-year-old harpsichord player, with whom he could share his love for music. In 1657 the collected work of his Dutch poems, the Koren-bloemen appears. Some of its contents contain: Heilighe Daghen (1645), Ooghen-troost (1647), Hofwijck (1653) and Trijntje Cornelis (1653). This last work, Trijntje Cornelis, is an explosion of Huygens' creativity. It testifies to the rare language - and expressive capacity - of the author. Considering that the piece was written in a rather short time, it can be considered work of an enormous performance. Since his mother Suzanna was from Antwerp, he visited there often and Trijntje Cornelis takes place in Antwerp. In 1660 his daughter Suzanna married her cousin, Philips Doublet, son of Huygens' sister Geertruijd. 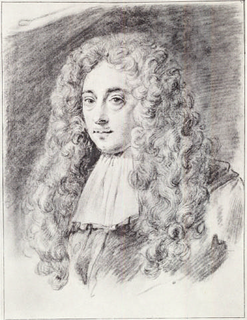 In 1661, a grandfather by now, Huygens was sent to France by the circle of tutors of William III, to recover possession of the county of Orange. The county was returned to the family of Orange-Nassau in 1665 and Huygens returned to the Netherlands. On his return, Huygens designed the new sand road in The Hague, running through the dunes to Scheveningen. He had already planned this road in 1653, and wrote about it in his work the Zee-straet. The road was made according to Huygens' design. In 1676 the second edition of the Koren-bloemen appeared, a collected work containing 27 books. New in this edition were the Zee-straet, the Mengelingh (a section of serious poems written after 1657) and seven books with snel-dichten (quick poems). As he was older now, Huygens found refuge in music. He wrote around 769 compositions during his lifetime. Constantijn Huygens died in The Hague on Good Friday, 28 March 1687 at the age of 90. A week later he was buried in the Grote Kerk in the Hague, together with his son, the famous scientist Christiaan Huygens. In 1947 a literary award was created, the Constantijn Huygens Prize, to honor his legacy. Constantijn Huygens plays a major part in Brian Howell's novel, The Stream and The Torrent: Jan Torrentius and The Followers of the Rosy Cross: Vol.1 (Zagava/Les Editions de L'Oubli, 2014). Christiaan Huygens was a Dutch physicist, mathematician, astronomer and inventor, who is widely regarded as one of the greatest scientists of all time and a major figure in the scientific revolution. In physics, Huygens made groundbreaking contributions in optics and mechanics, while as an astronomer he is chiefly known for his studies of the rings of Saturn and the discovery of its moon Titan. As an inventor, he improved the design of the telescope with the invention of the Huygenian eyepiece. His most famous invention, however, was the invention of the pendulum clock in 1656, which was a breakthrough in timekeeping and became the most accurate timekeeper for almost 300 years. Because he was the first to use mathematical formulae to describe the laws of physics, Huygens has been called the first theoretical physicist and the founder of mathematical physics. In the Golden Age of the Dutch Republic, roughly equivalent to the later half of the 17th century, the Muiderkring was the name given to a group of figures in the arts and sciences who regularly met at the castle of Muiden near Amsterdam. The central figure was the poet Pieter Corneliszoon Hooft; Constantijn Huygens, Dirck Sweelinck, Vondel, Bredero and the poet sisters Anna Visscher and Maria Tesselschade Visscher were also considered part of the group. Pieter Corneliszoon Hooft - Knight in the Order of Saint Michael - was a Dutch historian, poet and playwright from the period known as the Dutch Golden Age. Jacob van Campen, was a Dutch artist and architect of the Golden Age. Voorburg is a Dutch town and former municipality in the west part of the province of South Holland, the Netherlands. Together with Leidschendam and Stompwijk, it makes up the municipality Leidschendam-Voorburg. It has a population of about 39,000 people. It is considered to be the oldest city in The Netherlands and celebrated its 2000th year of existence in 1988. Hofwijck is a mansion built for 17th-century politician Constantijn Huygens. It is located in Voorburg on the Vliet canal from Den Haag to Leiden. Formal address of the cultural heritage is 2 Westeinde, Voorburg, the Netherlands, but its location today is better known as the Voorburg railway station. Jan Jansz de Jonge Stampioen was a Dutch mathematician famous for his published work on spherical trigonometry. In 1638 he moved to The Hague to become tutor of William II, Prince of Orange. In 1644 he was employed to tutor Christiaan Huygens in mathematics. Jacob de Gheyn III, also known as Jacob III de Gheyn (1596–1641), was a Dutch Golden Age engraver, son of Jacob de Gheyn II, canon of Utrecht (city), and the subject of a 1632 oil painting by Rembrandt. The portrait is half of a pair of pendent portraits. The other piece is a portrait of de Gheyn's friend Maurits Huygens, wearing similar clothing and facing the opposite direction. Adriaen Hanneman was a Dutch Golden Age painter best known for his portraits of the exiled British royal court. His style was strongly influenced by his contemporary, Anthony van Dyck. Henri de Fleury de Coulan, Sieur de Buat, St Sire et La Forest de Gay was a captain of horse in the army of the Dutch Republic, who became embroiled in a celebrated conspiracy during the First Stadtholderless Period to overthrow the regime of Grand Pensionary Johan de Witt in favor of future Stadtholder William III, known as the Buat Conspiracy. He was convicted of treason in 1666 and executed. 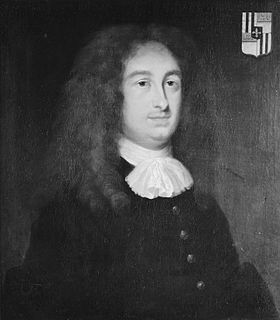 Lodewijck Huygens was a Dutch diplomat. Constantijn Huygens Jr., Lord of Zuilichem was a Dutch statesman and poet, mostly known for his work on scientific instruments. But, he was also a chronicler of his times, revealing the importance of gossip. Besides he was an amateur draughtsman of landscapes. Henricus Reneri or Renerius was a Dutch philosopher. Voorburg is a railway station located in Voorburg, Netherlands on the Gouda–Den Haag railway. The station was opened on 1 may 1870 and The train services are operated by Nederlandse Spoorwegen. The station is also frequented by several local and some regional public bus-services. A ribbon of poems was the literary debut of Dutch writer Louis Couperus. The collection of poetry A ribbon of poems received a good review by critic J.H. van Hall in the Dutch literary magazine "The Gids"; Van Hall compared Couperus' poetry with those written by Heinrich Heine, Everhardus Johannes Potgieter and Pieter Corneliszoon Hooft; Jan ten Brink, Couperus' teacher and later professor at the University of Leiden drew comparisons with Constantijn Huygens. Not every critic however was that positive; Couperus' debut was also termed "contrived and effeminate". Johan (Jan) van Brosterhuysen, also spelled "Brosterhuisen" was a Dutch botanist, engraver, writer, and translator. At age 14 he was registered as a gownsman on 3 June 1610 at Leiden University, his native city. His interest was botany, but he was unable to acquire a teaching position in that field and took a position as secretary at Heusden Castle. Having moved to Amersfoort he became interested in architecture, until his college friend Constantijn Huygens got him a position as professor of botany and literature in a newly founded academy in Breda; he was also keeper of the botanical garden. He died in Breda in September 1650. Suzanna van Baerle or Susanna Huygens was a Dutch woman known for the book-long poem Dagh-werck that was written about her by her husband, Constantijn Huygens. The Orange College of Breda was a college of higher learning at Breda in the Dutch Republic in the middle of the 17th century, teaching divinity, philosophy, mathematics, and law. 1 2 3 4 5 6 7 Gosse, Edmund William (1911). "Huygens, Sir Constantijn" . In Chisholm, Hugh. Encyclopædia Britannica . 14 (11th ed.). Cambridge University Press. p. 22. ↑ Sanford Budick, “Descartes’s Cogito, Kant’s Sublime, and Rembrandt’s Philosophers: Cultural Transmission as Occasion for Freedom,” from A Journal of Literary History (Washington: Modern Language Quarterly, 1997), 38. ↑ "Acquisitions of the month: October 2018". Apollo Magazine.